We are dedicated in helping fellow business persons in their need for good quality accounting work; specializing in small Businesses, Partnerships, and Sub-Chapter S Corporation. 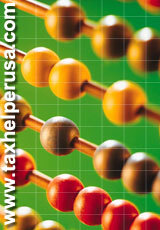 We take care of monthly accounting, payroll and all necessary tax forms both federal and state including sales tax. Our services are geared to fit the financial needs of our clients at competitive costs. We also do Appeals Representation along with Federal and State Tax Litigation. Take a moment to learn more about us and read interesting information about taxes; click on any link from the left and contact us if you have any questions or concerns.